As a dietary supplement, take 100mg of Dynamine Methylliberine 1-2 times daily. Dynamine™ is methylliberine, a purine alkaloid found in the kucha tea leaf. Its molecular structure is similar to theacrine (aka TeaCrine) and is believed to behave in similar ways in the body. Like theacrine, methylliberine may amplify feelings of energy, mood and focus by activating dopamine receptors and other key neurotransmitters, and inhibiting adenosine receptors. 1. 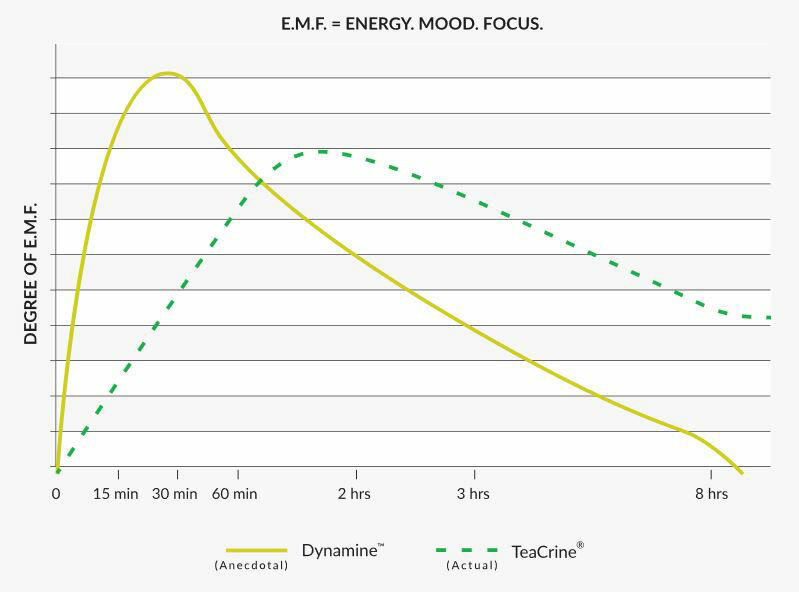 From the developers & innovators of TeaCrine comes Dynamine, the newest in fast-acting, high-impact energy, mood, motivation and focus (E-M-M-F). 2. Dynamine is a purine alkaloid fround in the kucha tea leaf. 3. 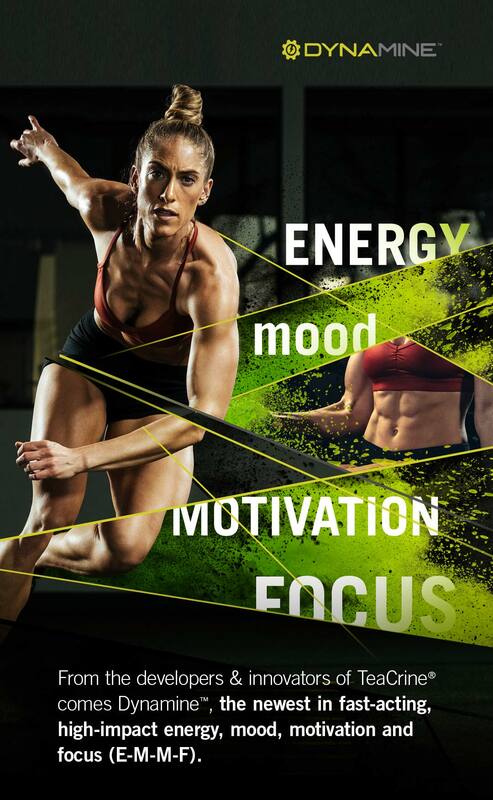 Early observations show Dynamine, while structurally very similar to TeaCrine, improves feelings of energy, mood, motivation and focus (E-M-M-F) with much faster onset of action. 4. Dynamine is safe for athletes. Have confidence adding DynamineTM into your regimen. It is now Informed-Choice, Informed-Sport certified. So what are the differences of Dynamine Methylliberine vs. Theacrine? Compared to Theacrine, Dynamine Methylliberine is faster acting and higher impacting on energy, mood, motivation and focus. People taking Dynamine Methylliberine for energy report feeling the effects sooner than they would with Theacrine. Another one of Dynamine Methylliberine benefits is that it appears to behave as a negative allosteric modulator of adenosine receptors. Caffeine acts as a direct antagonist on the adenosine receptors, which is mostly responsible for creating feelings of alertness and wakefulness. Since Dynamine Methylliberine acts as an allosteric modulator, it reduces the sensitivity of adenosine receptors which should lead to reduced tolerance build up, compared to caffeine, a direct antagonist. Anecdotal reports show that Dynamine Methylliberine benefits may include activation of dopamine receptors and other neurotransmitters without an impact on the cardiovascular system. To gain more insight, read the Dynamine Methylliberine reviews and experiences below. Nootropics Depot offers 5 gram or 10 gram jars of high quality Dynamine Methylliberine powder. Nootropics Depot's Dynamine Methylliberine has been lab tested for producty purity and identity. Attention: *These statements have not been evaluated by the Food and Drug Administration. This product is not intended to diagnose, treat, cure or prevent a disease.